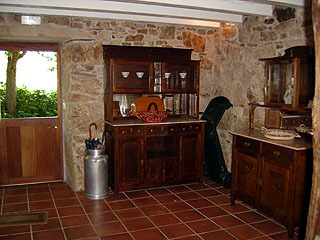 This is a luxurious villa, which was restored ( the original house is dated 1630) and used as a rural hotel, but now is rented by days or weeks under self cattering regime. 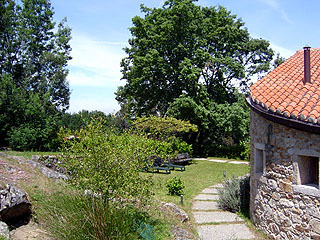 It is located at 12 Km from Silleda, ( and from there 30 Km to Santiago de Compostela by motorway), in a pure nature surroundings, beside a spa center ( Baños da Brea, with famous medicinal waters for treatment of several kinds of health problems of skin, reumathism, lungs, overweight, etc. ) and where you have all kinds of treatments ( jacuzzi, hidromasaje, fangos, chorros, etc. 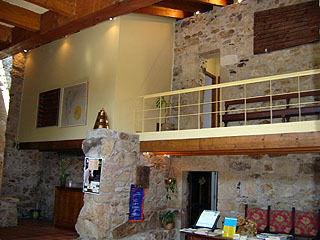 ), a Cafe-Bar, etc. At 10 min. walk there is a middle age monastery (Monasterio de Carboeiro), beside a beautiful river with natural safe beaches for swimming. In Silleda you have bars, bakery, supermarkets, restaurants, pharmacy, etc. 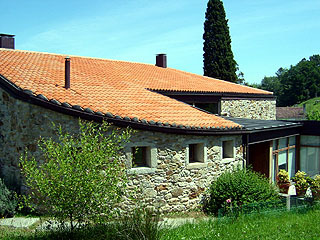 The house is sited on a large plot of land all enclosed, with a parking place for several cars, terrace, etc. 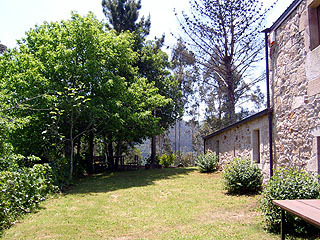 Downstairs there is a sitting room, double bedroom with bathroom (ensuite, wheelchair accesible), sitting area, dining room, kitchen , living room and toilets. Upstairs there are 5 double/twin bedrooms , all of them with their own full bathroom. 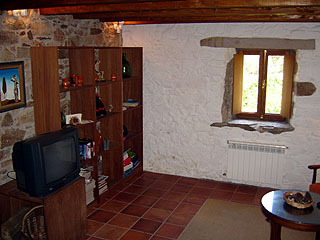 The main bedroom has a gallery. 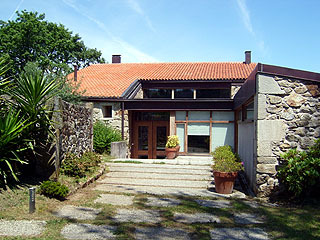 Side view of the house from the front garden. 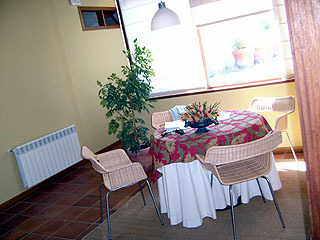 Prices are per week in euros for up to 12 people.